In our practice here at Townsend Security we engage with a lot of startups and mature ISVs who are trying to grow their business and customer base, leverage their technologies into new opportunities, and grow or migrate to the cloud. We know how difficult it is to start and grow a company, and what a wide set of business challenges have to be overcome. Our hats are off to every entrepreneur who has created a successful company, and every ISV who has kept it going! I want to share a few thoughts on some pitfalls that can damage your ability to grow your company with a focus on the encryption of sensitive data. Too many promising companies flounder because of poor security implementations, and failing to get encryption right can lead to lost opportunities - maybe even the loss of that breakout sale you need to land a global company. Some early thought and planning about data security can help you weather your migration up the food chain and avoid such losses. The single biggest failure of data security is not doing it at all. Even in this age of massive public data breaches, and the damage that they do to companies of all sizes, most startups and ISVs are not implementing encryption of sensitive data. When product managers and developers work on their next big idea, they focus on exciting features in their product and often ignore the work it takes to implement encryption. They instead rely on access control lists and other mechanisms to protect data. These are, of course, important things to do. But the failure to encrypt sensitive data leaves a big hole in your security strategy. What can go wrong if you haven’t implemented encryption? LOTS !!! The publicity around a data breach can tarnish your reputation and kill opportunities. The lack of encryption may cause compliance regulation failures making it impossible to enter new markets. You may not be able to pass a security review of your software by that large global Enterprise. You may not be able to enter government channels where encryption is a mandate. If your customer experiences a data breach you may encounter substantial litigation costs that damage your financial resources and delay critical development. You may fail to secure that next round of funding when an investor discovers the security gaps in your product. When these kinds of events damage your ability to grow your company, it can be hard to mitigate them in a timely fashion. And you often won’t know about these dangers until you get fairly far down the road with your business plan. For startups and ISVs who DO understand the need for encryption of sensitive data, the next biggest pitfall is the failure to protect encryption keys properly. Almost every database that supports encryption also supports the ability to protect the database encryption keys with a key manager. But that doesn’t mean that good key management is the default! In most cases the default database key management option is to store the encryption keys on the same server as the sensitive data. Sometimes the database will even store the encryption key locally and in the clear! 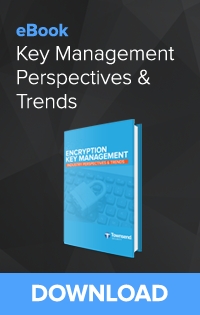 So getting encryption key management right is critical to your security strategy. It won’t help to have encryption of your data enabled, and then have a cybercriminal steal your data along with the encryption key. Does your database have built-in encryption? Relying on third-party encryption solutions at the file/folder level will certainly cause deployment and scalability problems. Does your database support integration with third-party key managers? If there is no easy way to integrate proper key management into the database, this will also cause deployment and technology delays. Does your database support open standards for key management? For example, the Key Management Interoperability Protocol (KMIP) defines how applications like databases can easily integrate a key manager. Does your database support key management failover? Remember that protecting encryption keys with a key manager also brings along the question of high availability and failover. If you are a startup be sure to choose a database that supports built-in encryption and proper key management. You have lots of good choices in both commercial and open source solutions. So go with a database with native, built-in encryption and key management! There are important standards and certifications for key management solutions. The most important of these is the National Institute of Standards and Technology’s (NIST) FIPS 140-2 standard. In addition to being a published standard, there is also a validation process for key management systems. The standard, and the validation to that standard, are critically important to your data security strategy. All professional key management solutions have been validated to the FIPS 140-2 standard and you should be sure to deploy a validated key management solution. This will help you avoid failing a security audit by that important new customer! In addition to ensuring that your key manager is validated to FIPS 140-2, be sure that the entire key management solution is validated. There are many cases where the encryption library alone is validated to FIPS 140-2, but the key management application is not. It is good to have validated encryption, but that is just the start! Encryption key management has its own validation points and you will need both. A vendor makes compliance claims, but there is no validation. Some vendors claim to be “FIPS 140-2 compliant” but in fact have never completed a FIPS 140-2 validation. Security is hard, and unsubstantiated claims should be a red flag. A vendor claims FIPS 140-2 compliance, but the validation is “in process”, but not complete. A security product can be “in process” for many months or even years. A claim of FIPS 140-2 compliance without actual completion should also be a red flag. A vendor makes some claims of FIPS 140-2 validation, but research shows that the key management solution was not validated by that vendor. A vendor makes a claim of FIPS 140-2 compliance, but the solution is only compliant when backed by a third party validated key management solution. In this case the vendor solution itself is not validated, but relies on the validation of another solution. You may be fooled into thinking that the solution itself is compliant when it is not. Especially watch for this pitfall with open source solutions. Now that you are on the road to getting encryption and key management right, it is important to also make it easy and invisible. Your customers have a lot on their agendas, and becoming a key management expert is probably not one of them. So even if you follow the above advice and implement encryption and key management, do your customers a favor and make key management easy. The best way to do this is to bundle a key management solution into your product, and make key management automatic. You can still enable the configuration of an external key management system (some customers will want this), but you can really make it easy for most of your customers if you automate the key management tasks. This strategy won them a lot of competitive deals and it was easy to talk about - and it shortened the sales cycle. Of course, be sure that your key management solution supports this type of integration and automation! As you move to the cloud and create shared, multi-tenant SaaS solutions, be sure to plan for and architect data segmentation into your solution. You will encounter large customers who will not want to have their data in the same space as other customers. They will want the additional security of segmenting their data into a virtual private cloud. With planning, your technical team can meet this kind of requirement, and help you close that very large deal. Think about Amazon (the company) for a moment. At one point in their history they were an online bookstore. Today the company is very different. Amazon first leveraged its technologies to sell all kinds of products, and then created Amazon Web Services (AWS) to enable all of us to benefit from cloud technologies. Alliance Key Manager for VMware Cloud on AWS provides customers with dedicated key management in AWS – with no access to encryption keys by cloud service provider (CSP). Townsend Security today announced Alliance Key Manager is available to customers of VMware Cloud™ on AWS. VMware Cloud on AWS brings together VMware’s enterprise-class Software-Defined Data Center (SDDC) software and elastic, bare-metal infrastructure from Amazon Web Services (AWS) to give organizations consistent operating model and application mobility for private and public cloud. Alliance Key Manager for VMware Cloud on AWS enables the flexibility and security of a native VMware encryption key manager to customers of VMware Cloud on AWS. As VMware users turn to VMware Cloud on AWS, they bring their sensitive data with them – customer names, email addresses and other personally identifiable information (PII). While compliance regulations require protecting this information, encrypting this data has been a challenge for organizations who want the flexibility and security of a native VMware encryption key manager. By deploying Alliance Key Manager for VMware Cloud on AWS, customers can achieve their security and efficiency goals in a cloud environment. “With subscription and perpetual licensed options for the Alliance Key Manager for VMware Cloud on AWS, we have licensing options to fit the needs and budgets of our customers. Additionally, there are never extra fees for deploying additional nodes, databases or applications - giving your encryption strategy the freedom to scale without having to come up with budget for added licenses,” said Patrick Townsend, CEO & Founder, Townsend Security. VMware Cloud on AWS technology partners enable customers to deploy the same proven solutions seamlessly in both the public and private cloud. VMware simplifies the deployment and eliminates the need for partners to refactor solutions for VMware Cloud on AWS. If a partner solution works on-premises in a VMware vSphere environment, it will easily support VMware Cloud on AWS. VMware technology partners complement and enhance native VMware Cloud on AWS service and enable customers to realize new capabilities. Townsend Security‘s product information, collateral and other assets are listed within the online VMware Solution Exchange at https://marketplace.vmware.com/vsx/solutions/alliance-key-manager-for-vmware-cloud-on-aws-4-60?ref=search. The VMware Solution Exchange is an online marketplace where VMware partners and developers can publish rich marketing content and downloadable software for our customers. For applications that require the highest level of security, developers can use the on-board, NIST-compliant encryption and decryption services on Alliance Key Manager, rather than encrypting at the application or database level. Under this strategy, encryption keys never leave the key manager. With on-board encryption services, small chunks of data, such as credit card numbers, Social Security numbers, e-mail addresses, etc are encrypted on the server (physical HSM, VMware, or virtual appliance in the cloud). Because data is securely transferred to the key manager for encryption, it is recommended for smaller amounts of data. For larger amounts of data, it is still recommended to encrypt at the database or application level. Businesses can use onboard encryption effectively to improve their security posture and reduce their attack surface. This strategy is helpful in situations where they don’t want to expose the encryption key in their application or server environment. For businesses who have their data in the cloud, this also alleviates the risk of exposure of the encryption key in cloud memory. The performance of an encryption service is one of the biggest concerns that businesses have when taking this approach to protecting data. To shed some light on these concerns, we did some testing using our Java SDK on small blobs (<16KB) and with our .NET Key Client for large blobs. As a general metric, it is fair to say that for small pieces of data, the average latency for AES encryption (using CBC mode) is 50ms, yielding a rate of 20 operations per second. 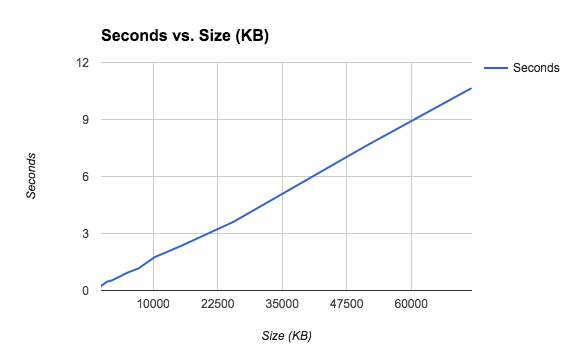 The horizontal axis is the size of the data being encrypted--the larger the file, the more likely it will approach maximum speed. For encrypting small pieces of data, the process of establishing a connection to Alliance Key Manager and sending the data vastly outweighs the actual encryption, so the rate shows as very low. 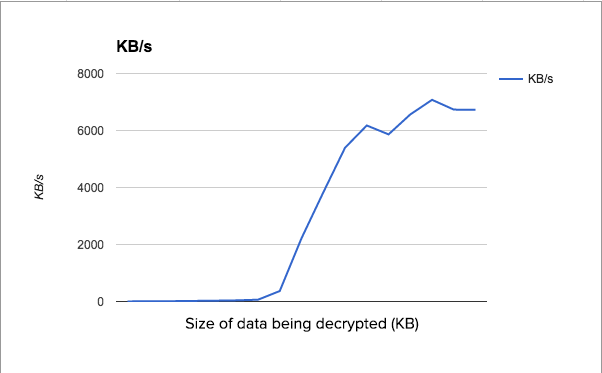 It spikes up to about 6.5 MB/s when the size of the data is around 5MB--larger than that, and the time to encrypt can be predicted using that rate. The major take-away: encrypting large blobs on AKM using the .NET Key Client occurs at a rate of 6.5MB/s. It is likely that the Java SDK, and other SDKs, would have about the same level of performance. This data was compiled on an AKM with 1CPU and 2GB of memory. Doubling those resources yields a small increase in performance--up to 6.9 MB/s . While there are performance impacts when encrypting large amounts of data with an encryption service (as opposed to encrypting an entire database or column within), it does provide improved security on smaller amounts of data for business wanting to minimize their encryption key exposure. Further, by utilizing Townsend Security’s encryption service, businesses can have confidence that they are protecting their data with NIST-compliant AES encryption. NIST compliance means that the encryption implementation has been reviewed by an independent testing lab who reports the results to NIST for validation. I recently sat down with Patrick Townsend, Founder and CEO of Townsend Security to talk about encryption key management and the importance of standards, what to look for in a key manager, and fundamental features of an enterprise grade key manager. While Townsend Security isn’t alone in the key management game, there are a few telltale signs that differentiate a key manager that meets industry standards and one that will leave you with a breach notification on your hands. Let’s jump in. Hi Patrick. Townsend Security has been in the key management game for close to 10 years now. Back when Alliance Key Manager was brought to market, people weren’t really sure what key management was. Now it is considered essential infrastructure. Yes, it sure is. Things have changed so dramatically over the last few years. Encrypting sensitive data is now a requirement for businesses who need to meet data privacy compliance regulations. And it is also achieving visibility at the executive level as a part of a GRC (governance, risk, compliance) plan. The landscape really has changed a great deal, and I think organizations are stepping up and doing a better job. We are also seeing databases implementing encryption directly into the database engine. MongoDB Enterprise is an excellent example of this by incorporating AES encryption into the WiredTiger storage engine and providing KMIP for good key management. Microsoft SQL Server Enterprise has also built the encryption engine right into the database with transparent data encryption (TDE) and provides extensible key management (EKM) for vendors like us to plug in to and allow users to properly manage encryption keys. Let’s spend a minute on compliance. What regulations require key management? It is true that there are a lot of compliance regulations and most of us fall under multiple. Certainly, GDPR and the new Australian law have come on board and are affecting the way companies all over the world, even outside of the EU, who are now taking steps to protect that data. Almost all regulations require the protection of data, which encryption can help with. Regarding encryption, from a best practices point of view, if you don’t have proper key management, you don’t have encryption. PCI DSS and the payment industry has now been with us for a decade and that also drives the protection of a lot of sensitive data. While PCI DSS is a private regulation between merchants who accept credit cards and the industry, it is a strong regulation with strong penalties. Because of the longevity and focus on security, PCI DSS often informs other regulations and corporate governance boards. While we live in a very complex set of compliance requirements, there are fortunately some similarities. When we set out to protect sensitive data, and do it right, which I am sure you know by now means based on standards and security best practices, we find business meeting a broad set of regulations. As I mentioned earlier, key management is considered essential infrastructure. Back when Townsend Security first entered the market, there were just a few options for the enterprise to choose from. Today, options have dramatically increased. With that said, there are a few ways to distinguish a key manager that meets industry standards and one that will leave you with a breach notification on your hands. There are a few key quality indicators when assessing key management systems. 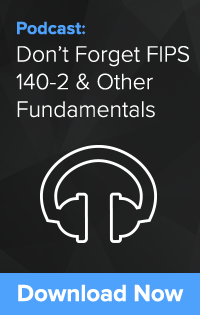 First off, a key management server must be validated to FIPS 140-2. That is the US and Canadian standard for cryptographic modules and it is just a fundamental indicator of the seriousness of a company and its ability to build good key management solutions. Unfortunately, there are claims of FIPS 140-2 compliance by vendors who have systems which have actually not completed a validation. It’s always a good idea to ask your key management vendor what their certificate number is so that you can look it up yourself on the NIST website. Additionally, key management vendors should be able meet KMIP requirements by demonstrating interoperability. These sorts of validations and certifications show that a key management vendor is stepping up to the technical requirements that customers expect. Finally, there are individual specific validations to regulations. Our key manager, for example, has been through a PCI DSS validation with a QSA auditor and with VMware. You want to avoid solutions that are simply “key storage” which haven’t been validated and there has not been external review and validation of the cryptographic approach. It is incredibly easy to get encryption and key management wrong from a technical point of view. Third-party attestations and validations are critically important. You are putting your digital assets, not to mention your company’s reputation, at risk when you use a poor quality key management server (KMS). Fortunately, today there are very affordable solutions available everywhere from a traditional hardware security module, to VMware, to the cloud. 10 years ago, key management servers where terribly expensive. Yeah, I have been seeing key managers hitting the market that range from open source to cloud service provider (CSP) provided. Some key managers will even claim FIPS compliance when a simple check with NIST shows them nowhere to be found. You also get providers who claim FIPS compliance because they are using a module that has been through a validation, which as I am sure you can tell us more about, doesn’t make your solution compliant. That’s right. Unfortunately, there is still a fair amount of snake oil in the industry. People claim FIPS 140-2 compliance, but haven’t fully been through the process. As you mentioned, claiming one component as being FIPS 140-2 compliant does not make your entire solution compliant. I like to say, “I drive a Toyota. If I put a Jaguar hood ornament on my car, it doesn't turn my car into a Jaguar. It is still a Toyota!” There is a lot of language used by some solution providers that just isn’t accurate and should be verified before choosing a solution. You also talked about governance. Let’s take a look at the recent Marriott/Starwood breach. There was an interesting statement where they said “we can’t be absolutely sure that the encryption keys weren’t lost.” If you are using enterprise level key management systems, you have monitoring and audit trails that will show if keys have been retrieved. By them not knowing, it is easy to surmise that they weren’t adequately protecting our information. This was a failure of governance in regards to critical security infrastructure. We might not be talking about the breach right now had they had industry standard key management in place. Changing gears a little, we have in the past seen cloud vendors offer key management systems in their shared environments. Multi tenant key management presents a concern for enterprises. Just last week I had a conversation with a security professional from a global enterprise who said, “for us, trust is paramount to our brand. We will never allow encryption keys to be stored and accessed by a cloud vendor.” I thought it was a very interesting statement and completely lines up with other enterprises that I speak with. Well, there is a bit of confusion on this isn’t there? A true enterprise key management system (KMS), is responsible for the entire lifecycle of an encryption key - from generation where admins create provably strong keys, to storage, to provisioning applications and users who need the keys, all the way through to the archival and destruction of the keys. Key management systems manage all of those phases according to industry standards. A key management service can better be defined as storage service and offers a mix of capabilities. Some are services that are shared, multi-tenant environments. CSP key managers often work this way (think AWS KMS, Azure Key Vault). Many services don’t give you full access or control over a key’s complete lifecycle. Some services allow you to bring your own key, but then bring that into their own infrastructure, where you then share administrative access and control. It is very important to know that if you are truly trying to do security the right way, you need a key management system that is built to industry standards and validated to industry standards. One last point, it is possible to do key management correctly in the cloud. There are third-party key management offerings that can be found in the marketplace that meet all the standards that we have been talking about, and are dedicated to you and only you. Our Alliance Key Manager is one, for example. A feature that we are very proud of with our key manager is that it runs the same software in the Cloud, VMware, or as a traditional hardware security module (HSM). We have customers setting up hybrid cloud/on-prem deployments or even cross-cloud. The way we license our key managers works really well for the modern enterprise which needs a predictable, low TCO. With Alliance Key Manager, there are never added fees for additional databases or applications. To hear this conversation in its entirety, download our podcast Don’t Forget About FIPS 140-2 and Other Fundamental Key Management Features and hear Patrick Townsend further what enterprises should look for in a key manager, the importance of standards, and other fundamental features of an enterprise grade key manager. Townsend Security, today announced that its Alliance Key Manager for VMware has achieved VMware Ready status. This designation indicates that after a detailed validation process Alliance Key Manager for VMware has achieved VMware’s highest level of endorsement and is supported on VMware ESXi (all supported versions, vSphere 6.5 and later, and vSAN 6.6 and later) for production environments. “We are pleased that Townsend Security and Alliance Key Manager for VMware qualifies for the VMware Ready logo, signifying to customers that it has met specific VMware interoperability standards and works effectively with VMware cloud infrastructure. This signifies to customers that Alliance Key Manager for VMware can be deployed in production environments with confidence and can speed time to value within customer environments,” said Kristen Edwards, director, Technology Alliance Partner Program, VMware. 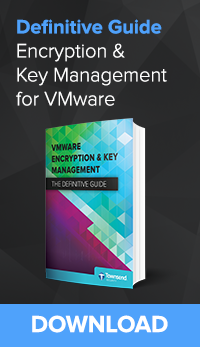 By using Alliance Key Manager for VMware with VMware ESXi (all supported versions, vSphere 6.5 and later, and vSAN 6.6 and later) organizations can centrally manage their encryption keys with an affordable FIPS 140-2 compliant encryption key manager. Further, they can use native vSphere and vSAN encryption to protect VMware images and digital assets at no additional cost. VMware customers can deploy multiple, redundant key servers as a part of the KMS Cluster configuration for maximum resilience and high availability. Townsend Security and Alliance Key Manager for VMware can be found within the online VMware Solution Exchange (VSX) at https://tsec.io/VMwareReadyPR. The VMware Solution Exchange is an online marketplace where VMware partners and developers can publish rich marketing content and downloadable software for our customers. VMware, VSXi, vSphere, vSAN and VMware Ready are registered trademarks or trademarks of VMware, Inc. in the United States and other jurisdictions. All other marks and names mentioned herein may be trademarks of their respective companies. Both encryption and proper key management are a crucial part of defending your sensitive data. Consider the massive Marriott/Starwood Resorts data breach that was announced at the end of November, 2018. Attackers were able to first gain access to their systems in 2014, almost a full four years before they were detected in September of 2018. So, while the information was encrypted, the company cannot rule out that “two components needed to decrypt” were not taken. One of these needed components would be the encryption keys. No one knows for sure why they they cannot rule this out, but if the encryption keys were properly managed, the potential for them being stolen along with the data would be highly unlikely. Encryption is crucial to securing sensitive information. Just as important: properly managing the encryption keys. But encryption, and by extension key management, have a bad reputation for being difficult to deploy in the enterprise. Encryption projects used to be costly as well as time and personnel intensive. While many databases came with encryption as part of their native libraries, it was a largely manual process not for the faint-of-heart—and add on top of that finding ways to properly manage the encryption keys; most developers would put it off for another day. The good news, much has changed in the last 10+ years. Deploying encryption and key management can take a fraction of the time it normally took. But that doesn’t mean to you don’t have to work smart. Coming at an encryption project in a haphazard way could cost you time, money, and sensitive data not getting the proper protection it needs. Follow along for three tips you need to get your encryption project off on the right direction. The first step in any project is to get agreement between stakeholders as to what data-at-rest should be encrypted. Some of the obvious contenders would be any cardholder data (CHD) you have in you environment, personal health information (PHI) or personally identifiable information (PII) that needs to be kept safe. Many time this information falls under a compliance regulation like PCI DSS or HIPAA. The choice to encrypt this data is clear. But less clear is data, that if exposed, would leave your company exposed to brand damage, lawsuits, or loss of competitive advantage. Whether it's the plans for a new product, proprietary schematics for an existing product, or information that exposes your business processes, business has a lot of information they want kept secret. Product/Solution Documents: If your product or service relies on proprietary information to give you a competitive advantage in the marketplace, you need to encrypt anything that would give your competition a window into how your products or solutions work. Research and Development (R&D) Data: In the same vein, any R&D you are conducting is your advantage in tomorrow's competitive landscape. Don't let it be stolen from you because you did not properly secure it. Financial Reports: If you don’t want your competitors spying on your financial information, encrypt it. Legal Documentation: There is a lot of documentation, that if made public, could tarnish a company's reputation. Harassment settlements, sexual misconduct accusations, financial misdealings, even benign partner agreements—all these need to be kept private and out of the public's eye. Just as crucial as protecting PII and IP data is protecting any client data you are responsible for. Making sure that client data is safe is of utmost importance. Just one breach could cause major reputational damage and see a loss of current and future contract revenue. Most databases now (like SQL Server and MongoDB), as part of their Enterprise editions, come with Transparent Data Encryption (TDE). This encryption encrypts the entire database while at-rest and normally uses either AES or 3DES encryption. This typically takes less time to deploy than column level encryption as there is less configuration to do. If upgrading to an Enterprise edition is not in the budget, some third party encryption products may be an option. NetLib, for example, file level encryption for SQL Server. It supports all versions of SQL Server from 2000 to 2017 and can save you the upgrade costs from going from Standard or Dev editions to Enterprise. encryption keys. Because encryption key management is crucial to data protection, the National Institute of Standards and Technology (NIST) provides guidelines on best practices for key management. NIST Special Publication SP-800-57 provides recommendations for encryption key management. What this means to you is that managing your encryption keys is not a simple process. Why? Because you must create a defense-in-depth system for your encryption keys. Remember, hackers don’t break your encryption, they steal your keys. And the only way you keep your keys safe is to layer them in protection so that only authenticated and authorized personnel have access to them. The good news is, there are vendors at the ready who already comply with the highest standards and have both virtual and hardware options. The real trick also is finding one that is both dedicated and affordable. Of course, there are some key manager options provided by public clouds, but they are not a dedicated key manager (i.e. you own the key manager) but rather your keys are housed are a multi-tenant environment as well as the public cloud provider having administrative access. This can get tricky as a public key manager may be compelled by the government to hand over your keys, without your knowledge, and unlock your data. Worse yet, if your data is stored in the same public cloud, the cloud provider would have access both to your keys and data. Unsafe! To learn more, check out our recent blog post on PCI SSC guidance around this issue. We never charge you fees for connecting a new end-point. We never limit the number of end-points based on the model of the KMS. We never limit the number of encryption keys generated or stored. We never force you to pay extra fees for software patches. We never force you to pay extra fees for routine software upgrades. We do things a little differently here at Townsend Security and we think that makes encryption just a little easier. MongoDB is revolutionizing the world of ‘Database’ with its scalable, secure, replicating database. With MongoDB Enterprise Advanced customers get the ability to protect sensitive data with built-in encryption, and a convenient, standards-based interface for encryption key management based on the industry standard Key Management Interoperability Protocol, or KMIP. Here at Townsend Security we fully support the MongoDB Enterprise Advanced key management architecture, and have certified our Alliance Key Manager with MongoDB for both Intel and IBM Power architectures. And, Alliance Key Manager supports real-time key mirroring between one or more failover key servers to ensure that you never have a service interruption because of a failed connection to a key server! 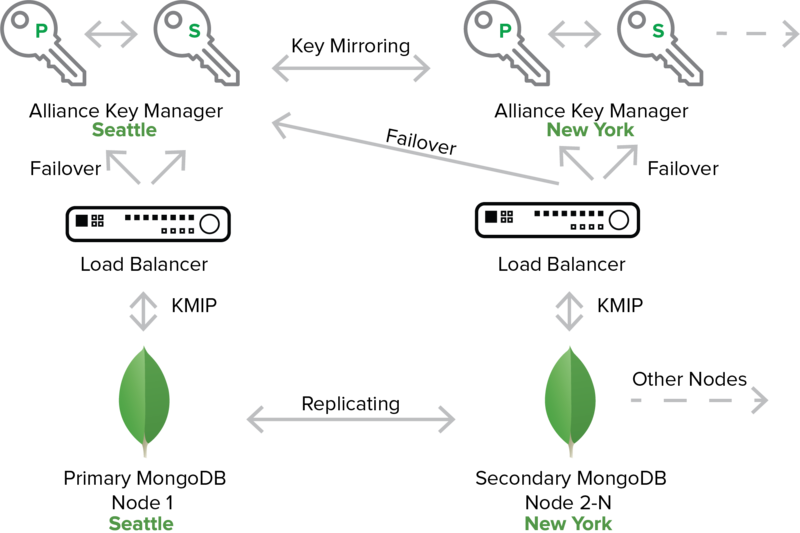 Customers often ask us how to design a resilient key management strategy with MongoDB. So let’s look at three common scenarios. 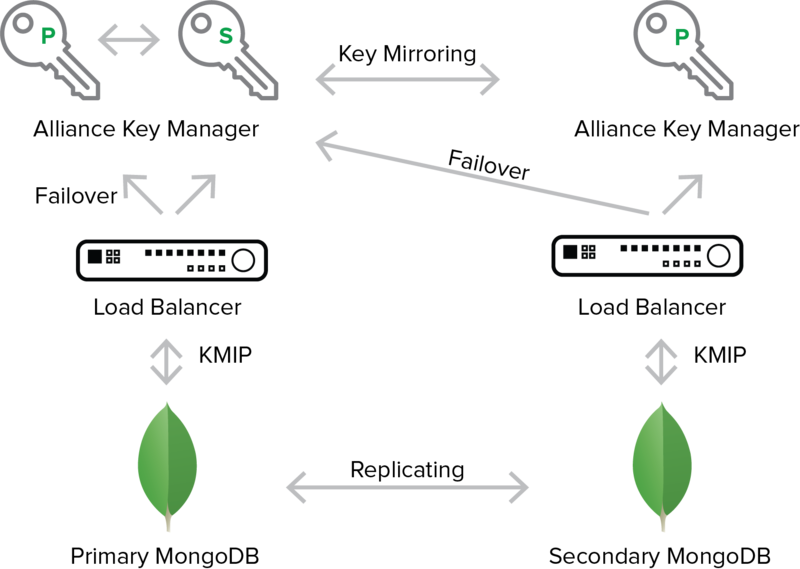 The key management interface for MongoDB Enterprise Advanced only allows for the definition of one key management server. In order to define one or more failover key servers, the following scenarios use a load balancer to allow connecting to the failover key server. As their name implies, load balancers are normally used to balance workload requests among multiple servers, and are available in all platforms where MongoDB is supported (VMware, cloud, etc.). In this case you use a load balancer to provide a failover mechanism. Future versions of MongoDB may support the definition of multiple key servers in the MongoDB configuration file - if that occurs the use of a load balancer would not be required. Imagine a simple implementation of MongoDB that involves one primary node and one secondary node to provide for data recovery and high availability. In this scenario the secondary node is deployed locally, or in the cloud across regions or availability zones, to the primary node. However, many MongoDB customers deploy the secondary node in a remote location to improve business recovery (see the next session). Our goal in this scenario is to minimize or eliminate business interruption in the event the primary node fails or the key server for the primary node fails. To achieve this, we leverage the KMIP interface of MongoDB, a load balancer, and the key mirroring capabilities of Alliance Key Manager. It is important to note that we don’t have to worry about redundancy and failover of MongoDB itself. This is very nicely handled by MongoDB. What we are striving to achieve is to implement an equally resilient interface to key servers. The primary MongoDB node has a KMIP configuration that points to the load balancer. The load balancer itself is configured to connect to the primary key server and a failover key server. Note that the failover key server is actually the key server for the secondary MongoDB node. In this scenario each key server functions as the primary key server for the local node, and as the failover key server for the other node. In the event the primary key server cannot be reached due to a network failure or a key server failure, the load balancer uses the secondary key server. Alliance Key Manager supports real-time key mirroring between one or more failover key servers. In the above scenario if the primary key server fails, the secondary key server will have a copy of the necessary encryption key. Note that Alliance Key Manager can mirror keys to more than one failover key server if needed. The result of this type of implementation is a fully redundant key server deployment to protect both the primary MongoDB node as well as a fully redundant key server deployment for the secondary MongoDB node. MongoDB customers often deploy more complex implementations with multiple secondary replication sets. This might be done to provide high performance for data ingestion (writes) into the primary node, while secondary nodes provide high performance query support and data redundancy. This type of scenario involves multiple nodes each with its own availability and recovery requirements. There can be many key managers involved in supporting this environment. This scenario also leverages the use of load balancers to provide for automatic failover to a secondary key server. See the notes above about load balancers. Primary and secondary MongoDB nodes have KMIP configurations that point to a load balancer. The load balancers are configured to connect to the defined failover key server when needed. Note that the failover key server is a different key server on another MongoDB node. In this scenario each key server functions as the primary key server for the local node, and as the failover key server for the other node. In the event the primary key server cannot be reached due to a network failure or a key server failure, the load balancer uses the secondary key server. Alliance Key Manager supports real-time key mirroring between one or more failover key servers. In the above scenario if a key server fails, the secondary key server will have a copy of the necessary encryption key. Note that Alliance Key Manager can mirror keys to more than one failover key server if needed. The result of this type of implementation is a fully redundant key server deployment to protect both of the MongoDB nodes. In complex MongoDB deployments that involve many geographically dispersed nodes, the same principles can be used to create highly redundant and resilient key management services. In this case the key managers are mirroring encryption keys and access policy across geographically dispersed locations. An encryption key management server and its backup mirrored server are available in all regions. This scenario uses multiple key management servers to provide a very high level of resilience and redundancy. The primary MongoDB node runs a primary and secondary server in order to ensure a high level of hot failover support. The remote MongoDB nodes also run a primary and secondary key server for the same reason - to provide the maximum availability of the secondary MongoDB databases. It is also important to note that this key server deployment leverages the ability of Alliance Key Manager to replicate keys to more than one additional key server. In this example there may be many geographic regions that participate in the MongoDB replication group. Note that it is possible that multiple MongoDB nodes can share one set of key servers. There is no requirement that each MongoDB node needs to have its own key server. 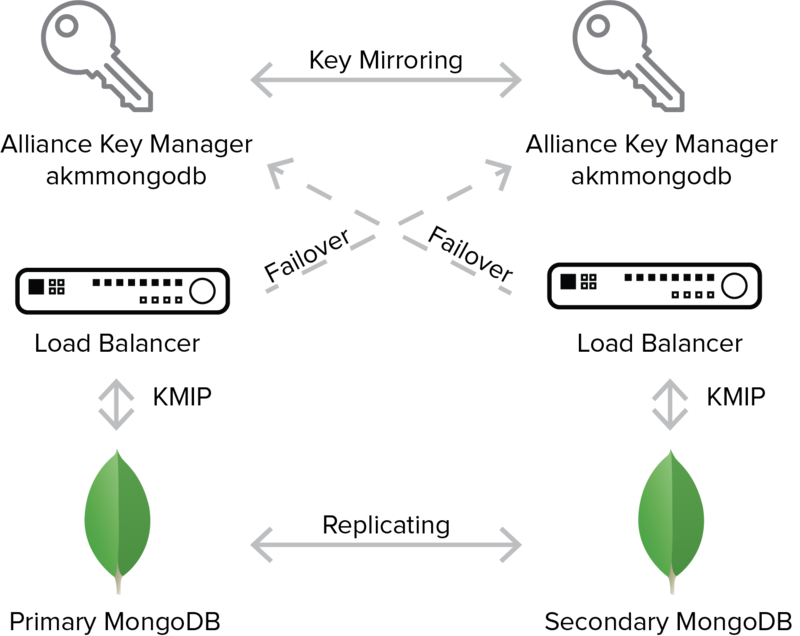 This more complex MongoDB configuration demonstrates the scalability of Alliance Key Manager to serve even very complex deployments of MongoDB. And you can start with a simple deployment of MongoDB and scale up the key management deployment as you grow MongoDB. Hopefully the above scenarios will help you understand and plan your MongoDB encryption key management needs, and provide a template for the growth of your MongoDB platforms. With Alliance Key Manager it is easy to start with a simple MongoDB deployment and then scale it as you invest more deeply in MongoDB technology. You won’t paint yourself in a corner with your early configurations! At the time this blog was written there is no support for key management using KMIP for MongoDB Atlas, the cloud-based solution. The MongoDB Atlas service only supports AWS Key Management Service (KMS) and Azure Key Vault. Full encryption key management support is available by running MongoDB Enterprise Advanced as an AWS EC2 instance, Microsoft Azure virtual machine, or Google Cloud Platform virtual machine. We will update this blog if MongoDB Atlas implements the KMIP interface for key management. PCI Cloud Computing Guidelines Bombshell - Where to Now? In April of this year the Payment Card Industry Security Standards Council (PCI SSC) released a new document on cloud guidance called “Information Supplement: PCI SSC Cloud Computing Guidelines”. It was an update of the first version of the guidance issued in 2013. While this is not a set of mandatory rules, it is a core guidance document and recommendations in PCI guidance documents often end up as requirements under the PCI Data Security Standard (PCI-DSS) and PCI Payment Application Data Security Standard (PCI PA-DSS). So it is worth understanding the guidance and it is wise to align your IT and business processes with the guidance. It is better to get things right at the beginning rather than have to rip-and-tear to fix things later. There is another reason to pay attention to the PCI cloud guidance: The PCI standards often set the expectations for security best practices in other regulations, and reflect evolving industry standards such as those developed by the National Institute of Standards and Technology (NIST). Even if you are not processing credit card payments, you should be paying attention to this guidance. When it comes to encryption key management in the cloud, there is a bombshell in this document (essentially describing services such as Amazon KMS and Microsoft Key Vault). What does the new PCI guidance say about encryption and key management? Let’s parse it out and see where it goes. 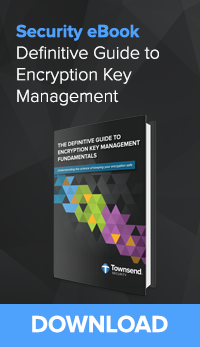 Take a look at appendix E.10 “Data Encryption and Cryptographic Key Management”. “If a Customer shares encryption keys with the Provider, or engages the Provider as a key custodian, details of Provider access permissions and processes will also need to be reviewed and verified. In fact, all cloud service providers such as Amazon (AWS), Microsoft (Azure), and Google (GCP) have access to both your data and your encryption keys if you are using their key management services. This includes AWS Key Management Service (KMS), Azure’s Key Vault, and Google’s Customer Customer-Managed Encryption Keys (CMEK). Perhaps unknowingly, you HAVE granted your cloud provider the ability to decrypt your sensitive data. “Any data that is decrypted in the cloud may be inadvertently captured in clear text in process memory or VMs via cloud maintenance functions (such as snapshots, backups, monitoring tools, etc.). To avoid this risk, Customers may choose to keep all encryption/decryption operations and key management on their own premises, and use a public cloud only for storage of the encrypted data. Wow, that’s a pretty strong statement about not allowing your cloud provider have access to your encryption keys and sensitive data. It is hard to imagine a scenario where the cloud service provider has a “defined business need” to access your sensitive data. Because compromise of a Provider could result in unauthorized access to multiple data stores, it is recommended that cryptographic keys used to encrypt/decrypt sensitive data be stored and managed independently from the cloud service where the data is located. Wow, there you have it. Don’t use the cloud service providers key management service because there is too much risk. This recommendation affects a very large number of users in the cloud. Fortunately, there are solutions available now to solve this problem (we have one). Let’s outline some options. There will be pluses and minuses for each one. But the good news is that there are multiple solutions to this issue. It is fairly easy to deploy an encryption key manager in your own data center and enable its use by cloud applications. Most enterprise key managers use a secure TLS-encrypted session to interoperate with the key manager. Once you enable an outbound TCP port to your key manager, you can easily use the on-premise key manager. Note that this could be a hardware security module (HSM) or a virtual key management appliance running in VMware. Remember that you probably do not have to retrieve the encryption key from the key server to your cloud application - most key managers support on-board encryption and decryption services. This alleviates the risk of an exposure of the encryption key in cloud memory. Performance will be the important factor to weigh in this regard. While the key manager may be quite efficient in the encryption or decryption operation, the communications lag times may mitigate against this approach. If your organization does not have on-premise infrastructure for a key manager, don’t despair. It is really straightforward to deploy a key manager in a hosted environment. A hosting provider can provide a home for a hardware security module, or for a software appliance. Establishing the firewall rules may take a bit more work, but this is an approach that has worked well for our customers. One creative option to separate the encryption keys from the protected data is to deploy the key manager in a different cloud platform. You could, for example, deploy your application data in Amazon Web Services, and deploy the key manager in Microsoft Azure. This helps mitigate the risk of one cloud service provider having access to both your encryption keys and your protected data - one of the key concerns expressed in the PCI guidance. Note that this solution will probably require that you work with the firewall rules in both cloud provider platforms. The good news is that this is not complicated - we have customers doing this today. Lastly, it is possible to deploy a dedicated key management solution in the same cloud as your protected data, but completely avoid the use of the cloud provider’s encryption key management infrastructure. The key server runs in its own virtual machine or EC2 instance and encryption key management is exclusively dedicated to you. If you take this approach, but sure that your key management vendor is not using the cloud providers encryption key management infrastructure! Encryption keys and key management should only be accessible to you and not to your vendor or cloud provider. I know that some cloud customers are reluctant to take this approach due to concerns about the ability of the cloud provider to access all of the customer applications and data on their platform, including a key management system running in the cloud. Personally I think the risk is minimal, but if you have that concern see the previous alternatives. In summary, it would be prudent to avoid the use of cloud service provider key management services such as AWS KMS, Azure Key Vault, and Google Customer-Managed Encryption Keys (CMEK). These services will put you at odds with the PCI cloud security recommendations, and likely put you in variance with future regulations. Not a good place to be. My advice? 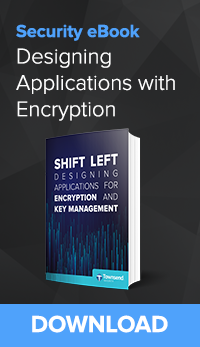 Get encryption key management right from the beginning. If you are using a cloud provider’s KMS, start your migration now. You have readily-available choices that are affordable. Get started now! Our Alliance Key Manager is validated to PCI-DSS and available in cloud, VMware, and HSM platforms. You can do this! Get started here.